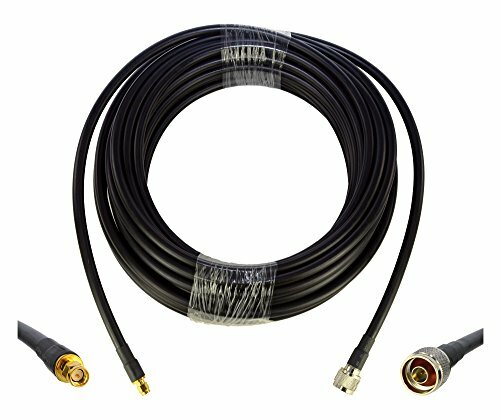 Proxicast's coax extension cable assemblies are constructed with top quality extremely low-loss cable and gold plated connectors. Each cable assembly is fully tested. Proxicast recommends LMR195 coax for assemblies up to 10 ft, LMR240 for lengths up to 25 ft and LMR400 for lengths up to 75 ft.
All outdoor connections should be weather-proofed to minimize moisture in the cabling. Use our Self-Bonding silicone tape (ASIN B00K5GW67O) for fast and easy connection sealing. Connect between SMA Female devices (radio, amplifier, lightning arrestor) and N-Female antenna, etc.